The artists participating in the Art Guild of Greene would like you to know more about them and view their art pieces online. 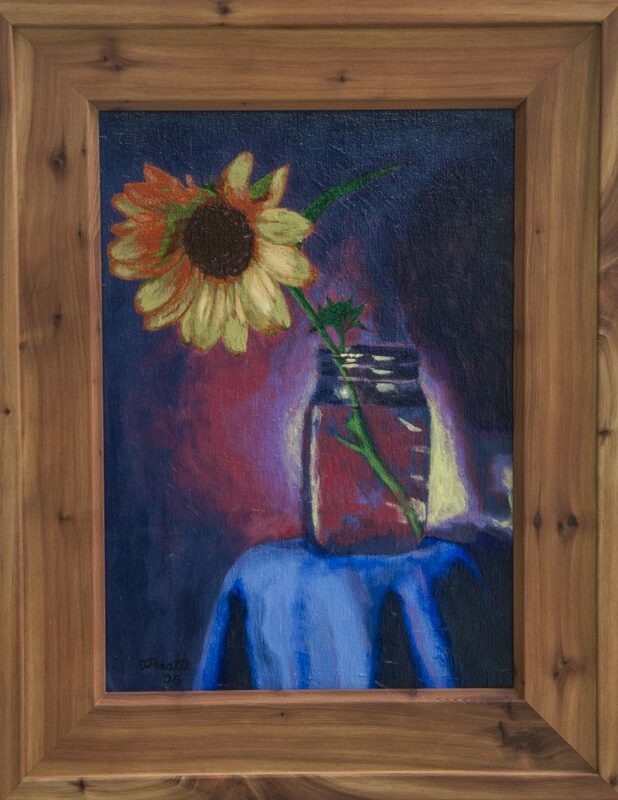 Enjoy browsing this gallery of very creative artists of Greene County! 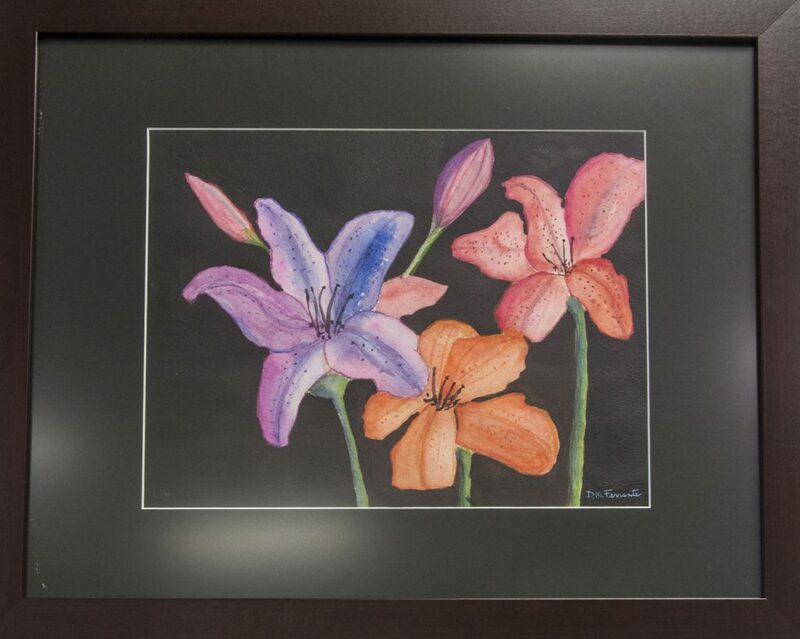 Inez has been painting for many years and loves using vibrant colors that creates bold and beautiful artistry. Her style is realism and abstract using watercolor and acrylics. She has a large collection of paintings in her studio that has been displayed/sold locally and online. She also donates art pieces to charity. It gives her great pleasure to bring happiness to people who can enjoy what she paints. 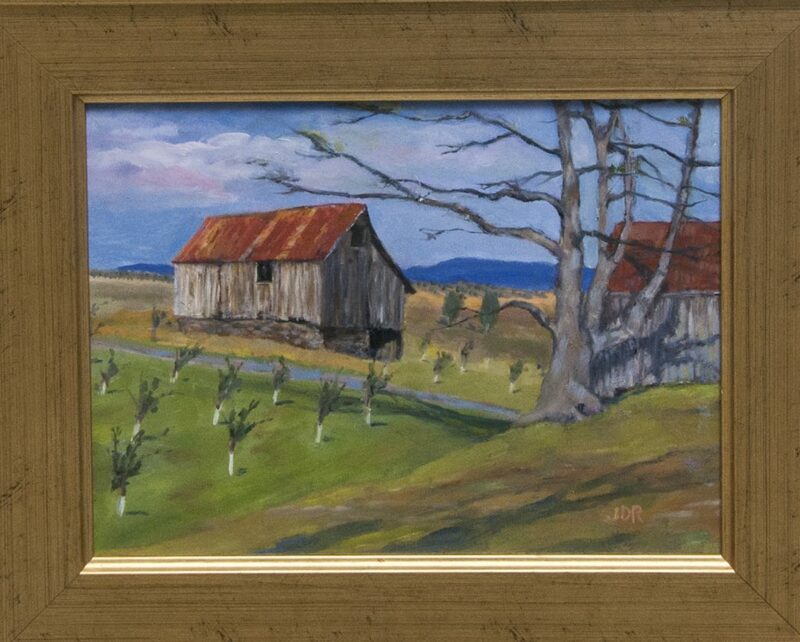 Her inspiration is the Blue Ridge Mountains, the surrounding farmland, and the beauty of her home. She also draws inspiration from a long line of family members who are as equally talented. Inez is the sister of Toni Tucker and Diane Ferrante. Inez attended Maryland University and received her MBA at Baldwin Wallace College in Ohio. Although her major was not art, she managed to teach herself all the fine techniques throughout the years. In addition to her love of art and as an extension of her work, she has become a master craftsman in handmade items such as jewelry, papier mache, decoupage, hand painted ornaments, paper crafting, and sewing. She likes to share these skills with the community by offering training and lessons to those who are interested. Bobie was born in Lafayette, Louisiana and raised in Laurel Missippi. She has deep Southern roots and is quite proud to be a “Southern Belle”. She graduated from the University of Southern Mississippi with a degree in Fine Arts, having studied art history, technique, design and composition. Her formal training taught her a lot, but her Grandmother is the source of her love for art and nature. Planting and admiring the results created a childlike wonder for Bobie. Her Grandmother used the inspiration of nature and its spectacular colors to create beautiful pottery. This in turn inspired her to a love of photography. Bobie says of her work: “I want to be close; I want you to be close. I want you to be part of the image, part of nature so you can feel it, smell it and be in awe of it too.” Her work has shown in many juried fine art shows and in galleries, and her pieces can be found in homes all over the country and beyond. Click here for Bobie’s website. Cat Denby is a pencil artist and graphic designer. Cat worked as a dog groomer and veterinary technician while she and her husband built the web site design company the couple founded in 1996. The demands of the company began to take up more of her time, and Cat left grooming and veterinary work to become the full-time Art Director for Web Weaving. Animals are still her passion – she spends her days creating art for web site clients, and her spare time drawing fur people for their devoted humans. Her work can be found in the homes of pet lovers worldwide. Terrence Pratt Barboursville, VA Shenandoahfineart.com 434-242-0628 terry@shenandoahfineart.com About the Artist Terrence (Terry) Pratt has been making portraits, landscapes, still lifes, and other art pieces for almost 20 years. It’s his second career and he loves it. He was trained at the Corcoran School of Art and Design in Washington, DC. From 2004-06 he owned the Laughing Lion Studio and Gallery on Water Street in downtown Charlottesville, Virginia, just a few steps off the downtown mall. From 2006-08 he maintained a display space at the Crossroads Art Cen-ter in Richmond, Virginia. He joined the Palette Art Gallery in Stanardsville, Virginia, in 2014. His studio is now in the pretty little town of Madison, Virginia. Terry holds a Ph.D. from the University of Texas at Austin and pursued a successful 35-year first career as an author and teacher in the field of comput-er science. He served on the faculties of the University of Virginia, the Univer-sity of Texas at Austin, and Michigan State, and held a top-level research posi-tion at NASA’s Goddard Space Flight Center from 1992-99. He was listed in Who’s Who in America from 1979-94. Terry’s work has a local focus. He loves the Central Virginia area, the beauty of its landscapes, and the people in it, and he likes to bring that connection into his work. 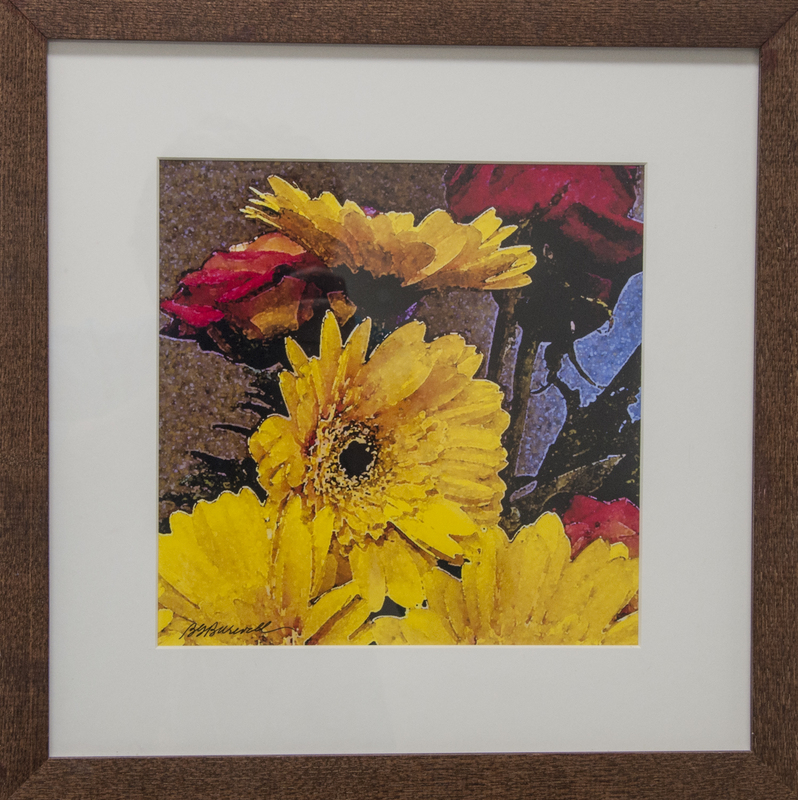 Starting in 2015, he partnered with his son to start Shenandoah Fine Art, a small business dedicated to designing and making the best in fine art prints. His paintings and drawings may be found in over a dozen private collections. Janice is the daughter of Charles Dunn, a prominent artist, illustrator and caricaturist in Washington DC. He did not intend to teach, but he gave her free rein to her imagination and plenty of pencils, and exposed her to art throughout her childhood. She graduated from The American University in 1964 as an Art Education major, and then spent several years working at the National Gallery of Art. In the late 1970’s, she joined the art league at the Torpedo Factory in Alexandria. She studied with Diane Tensler, Dannie Dawson, Robert Liberace and others and was accepted to many juried Art League Shows, winning an award for a painting of the Washington Cathedral. She was juried into the Torpedo Factory Artists’ Association and worked and sold in their galleries. She became a member of the National League of American Pen Women and was accepted into the Maryland Pastel Society. Many of her paintings were Urban landscapes, including a painting of the Bayou night club that was included in the PBS documentary, The Killer Joint. She is the president of The Foundation for Twentieth Century Artists of Washington DC Inc., formed in 1995 to promote the appreciation of artists painting in Washington during the early Twentieth Century. In 2014, the foundation published a limited edition book entitled DUNN OF DC, Washington’s Golden Age Through His Pen and Brush. In 2002, her studio relocated to Greene County. Being surrounded by the beauty of its mountains and farms has encouraged her to paint landscapes in plein air. She is delighted to become part of the vibrant art community here. Click here to see Janice’s website. Cory worked for 38 years in Information Technology for Dominion Virginia Power. Her job allowed for some creativity, but not much, so she initially dabbled in folk art and bead making to fulfill her need to create. After retirement, she dove right into several other craft media such as painting glassware, making jewelry of all sorts, pine needle coiling and gourd art. 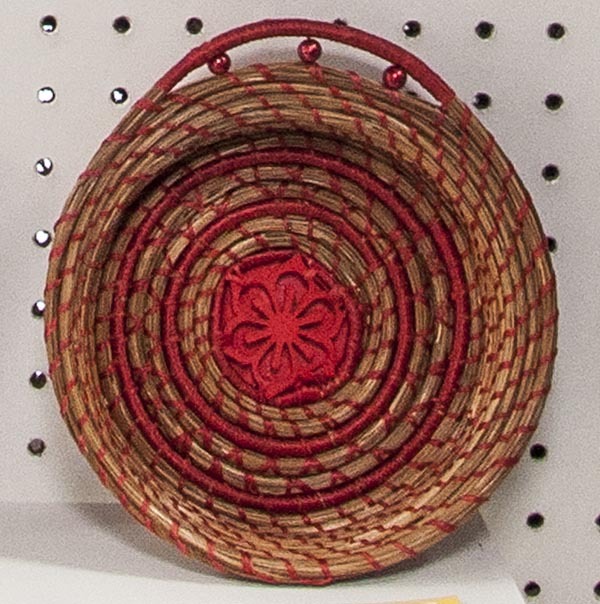 Cory learned how to coil pine needle baskets from a friend’s mother who learned from her mother. It is a very old craft and it’s wonderful that it has continued to thrive for so many generations. Be-jeweling gourds is Cory’s most recent endeavor and she hopes to create many more interesting pieces. Cory is married with two grown sons, Patrick and Mike. Patrick is a Presbyterian pastor in Barboursville, West Virginia. Mike is the Art Director at Journey Group, a publishing company in Charlottesville. Mike has two sons, Gray and Tate, and a lovely wife, Lisa. Other than crafting, Cory spends her time with the grandsons, the loves of her life! 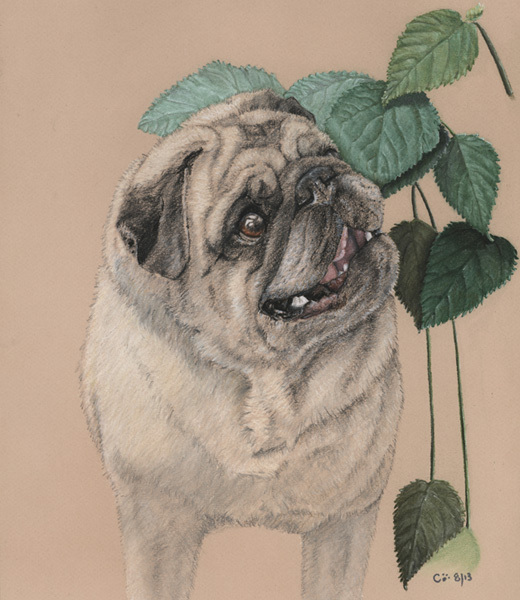 Susan received her art training from the Art Institute of Pittsburgh and studying with various artists around the world. After graduation from the Art Institute, she married and spent the following years traveling the world, raising a family, and working at her art as time permitted. She was set producer for musicals and plays that were held by an amateur acting groups in Africa and China. After retirement, She began painting full time and continues to learn and grow in her understanding and knowledge of the use of color and techniques. In October 2012, She was an Artist in Residence in Dinan, France by the Les Aimee du Grande Vin sponsorship program in 2012. She is a current member of the Firnew Farm Artists Circle, the Art Guild of Greene and the Central Virginia Watercolor Guild. 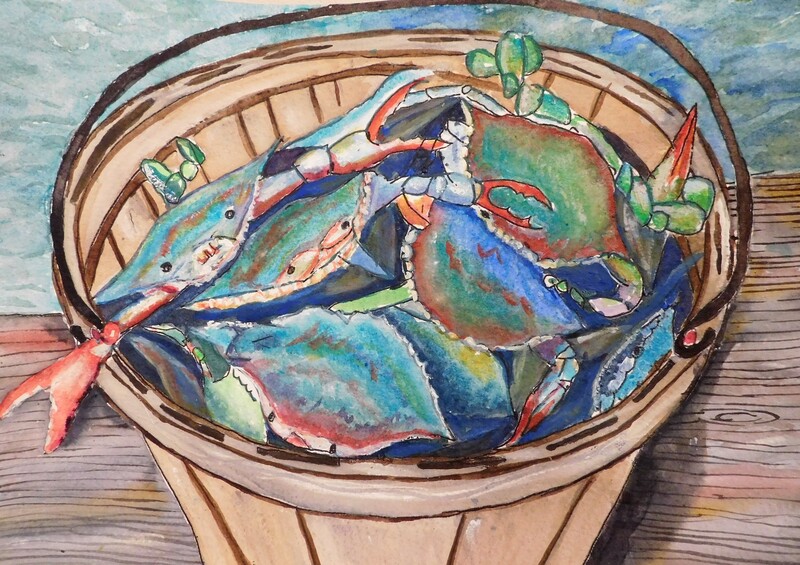 Her art can be viewed at The Palette in Stanardsville, in shows sponsored by Firnew Farm Artists Circle and the Central Virginia Watercolor Guild as well as in personal shows in different venues around the state.